William Clardy of Porter's Neck invented a self-propelled pier and surf cart, which can also be used as a yard cart or kayak carrier with an add-on boat carrier. The manufacturer is Angler's Fish-N-Mate and the cart is called the Fish-N-Mate Power Cart. It is excellent for getting ice chests, tackle and gear to the ocean and with an optional accessory outlet powers a cell phone charger, spotlight or anything else that has a 12-volt cigarette lighter adapter. I've seen it in action and it is amazing! 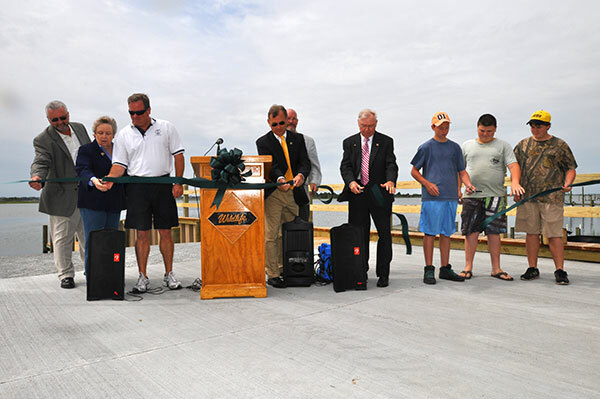 No more making several trips for camping and fishing gear when going across the sand! Aaron Ramsey of Angler's Fish-N-Mate has graciously agreed to donate a Power Cart ($499 retail value) as a raffle item for the North Carolina Public Access Foundation, Inc., with the drawing to be held at the Cape Fear Wildlife Expo on March 18, 2012 at the Wilmington Convention Center. The cart will be on display at the NCPAF, Inc. booth at the Expo as wall as at the North Carolina Fishing Pier Society Dogfish Tournament at Johnnie Mercer's Pier on Jan. 28, 2012. Tickets can be purchased by making an online donation at www.ncpaf.com. Tickets cost $5 each or 5 for $20. Or, send cash, check or MO to Mike Marsh, 1502 Ebb Drive, Wilmington, NC 28409. 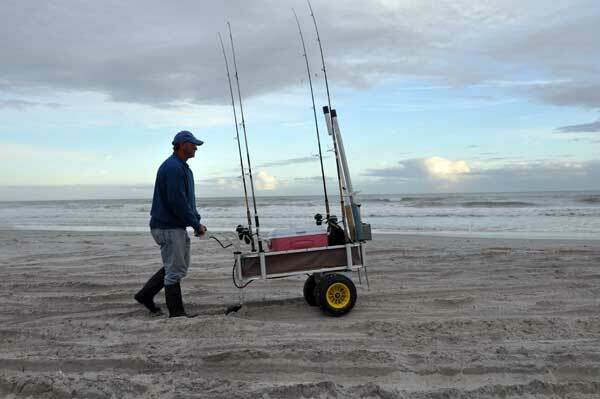 William Clardy uses his Power Cart to fish at Topsail Beach. An amazing assist for anglers who want to carry all their gear to the beach quickly and efficiently with only one trip! For handicapped sportsmen, it is one of the best inventions ever devised because getting an ice chest down the pier is no longer a challenge. For more information about thePower Cart or to find out where to buy one, visit www.fishinmate.com. I've been unable to shoot a drake long-tailed duck in North Carolina, although I've taken several hens and immature drakes. 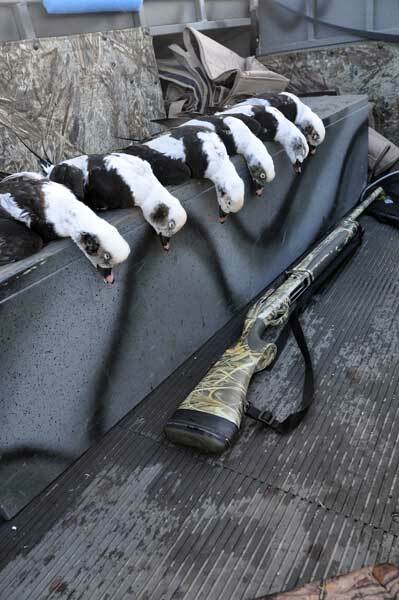 So I headed to Lake Michigan and hunted with Dean Crom at Big Water Outdoors and shot these six drakes (a limit of sea ducks for Wisconsin). Layout boat hunting at its finest at Big Water Outdoors. 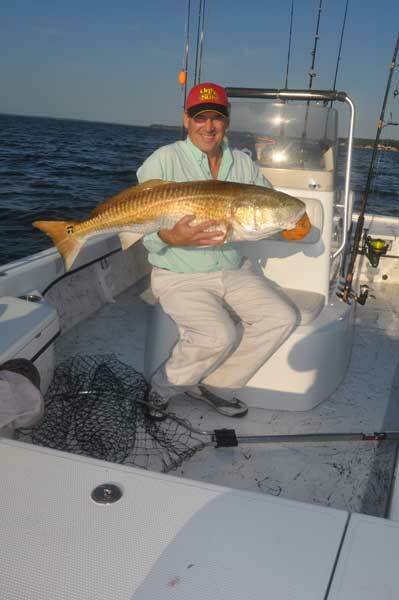 Gary Dubiel has been fishing for the giant red drum in the Neuse River during the daytime. No longer do anglers have to feel like they need to head out in late afternoon, fishing into the night, and navigating home in the dark. Capt. Gary and Capt. Dave Stewart and I caught one red drum each, fishing with chunks of mullet on the bottom. The action was fast, with a fish striking immediately following the previous fish until we decided to sight fish for them. Heading into the shallows, I soon hooked a big redfish while sight-casting the oil slicks created by the big reds eating menhaden. We could easily have caught fish all morning. But I had to head home to prepare some houses and my newly-thinned tree farm for Hurricane Irene's landfall (yes, Wilmington is in the bulls eye again) and even a big strong guy like Gary was thankful. He had been running two trips a day, lifting red drum to the tune of as many as 18 a day for client photos. The fish typically exceed the 40-inch citation size, so multiple citation fish can be released in one day. Anglers should be thankful to catch ONE red drum weighing at least 40 pounds, or a pound to the inch, in any trip, or in fact, a lifetime! 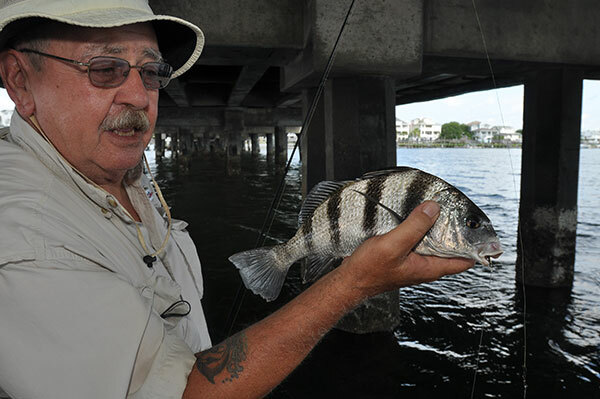 In no other type of fishing can anglers earn so many citations in one day, according to Capt. Gary. Gary took a break after I left at 10:30 after the aborted trip. He had another charter that afternoon and if the morning was any indication, they would all the action they could want waiting just offshore of Oriental, and Gary would get his "exercise" with red drum barbells again. Speck Fever Guide Service - Gary Dubiel, 252-249-1520. 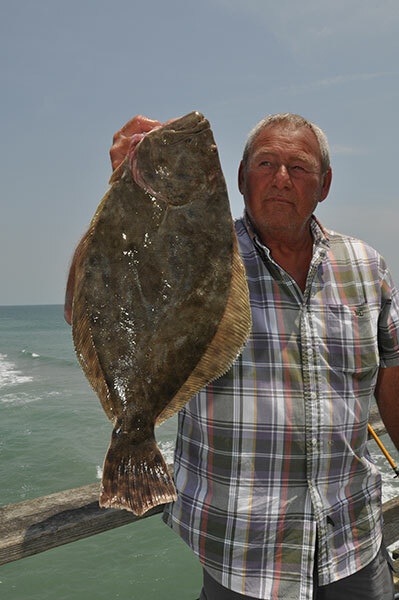 Kneedeep Custom Charters - Capt. Dave Stewart 252-249-1786.